Most of August gets very busy in the water in Newquay, so here are a few pointers in finding a surf spot if you want to free surf. What usually happens at BM - Click image for larger version. 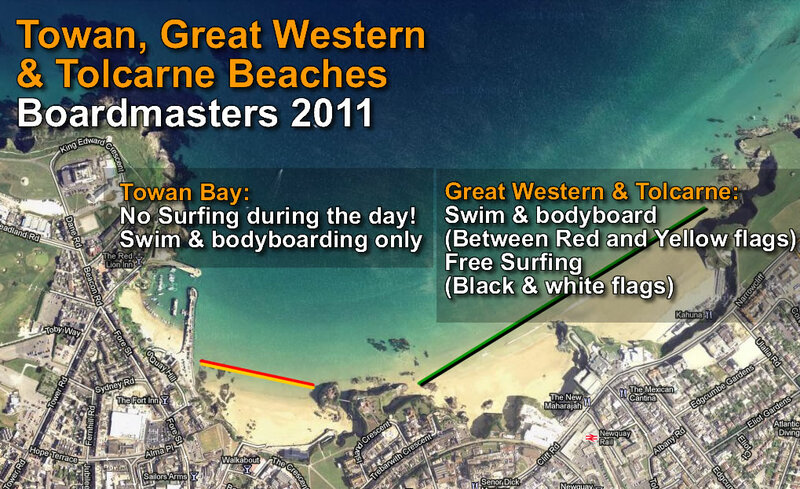 Its important to appreciate that about 1/3 or more of the beach can be allocated to surf comps when they run. If they are not running then you can surf at North Fistral. Free surfing is permitted on Fistral generally, but not in the red and yellow flags which is for swimming and bodyboarders. If you don’t realise that red and yellow flags mean no surfing and are a designated area for swimming and bodyboarding only… you should probably not be surfing on your own. 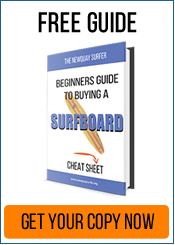 Sign up for surf lessons! It is usually less busy at low tides and more busy at high tide, as the waves tend to break closer to the shore – pushing free surfers into a smaller take off zone. Generally it will be busy at all times during weekends, as most surf schools take their lessons to Fistral to surf between the black and white flags, so be aware. If you want it quieter, then I’d suggest a dawny or surfing elsewhere. PS: Also, unless you’re Laird Hamilton don’t surf into a comp area if events are running. Towan Bay is for swimming and bodyboarding only through the summer months. The nearest you can start surfing is in front of the cliff of the little island and you can only do this at low to mid tide. Beyond that point, the tide is just too high to surf, so Towan becomes a swimming and bodyboarding only zone during the day until the lifeguards pack up at around 6:00 pm. If you do try and surf there during the day you’ll get yelled at by lifeguards (usually on jetskis). There is a small allocated free-surfing zone at Great Western Beach which you can walk to via Towan bay at low-mid tide. Its quite a small beach, but at low tide it does open up creating a bit more space for surfing. 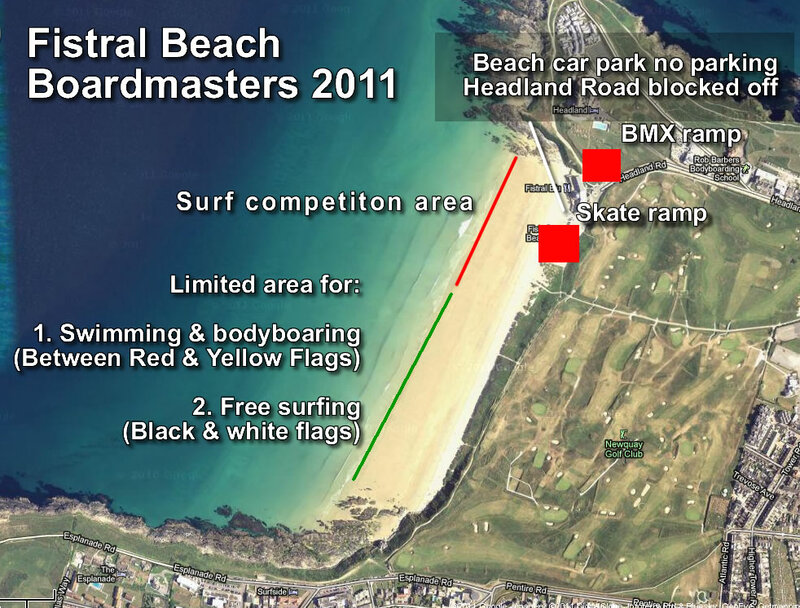 Again there will be a allocated swimming and bodyboarding area (between red and yellow flags) and surf schools will likely be out during the day taking up a fair bit of space. Tolcarne offers a similar situation to Great Western, in that it is a small beach that opens up to create more space at low tide. But also like Great Western, Tolcarne is a much smaller beach at high tide, meaning it can get very busy at peak times. On Tolcarne beach there’s food, little shops and a bar on the beach for non-surfers. It will also have a allocated swimming and bodyboarding area, and bare in mind that surf schools may be allowed to use it during the day. a/ Lusty Glaze Beach – head down another 1/2 a mile past Tolcarne and try Lusty Glaze. There is a car park for the beach there. There’s food, adventure activities, little shops and a bar etc on the beach for non-surfers. Surf this beach at Low to mid tide. b/ Watergate Bay – whilst this will usually be busy due to the main event being held there the beach is pretty massive at low tide. It works on all tides, but at high expect it to be packed as the tide pushes in. There are surf schools, bars, cafes and Jamie’s 15…which is expensive and often booked out in advance. c/ Perranporth – is a huge beach at low tide. Best low to mid tide from my experience. There is parking in the town next to the beach or up the hill on the cliff. Parking is typically a bit cheaper than Newquay – in the £4.00 range. Once you have found somewhere to park you can usually relax…finding a quiet spot to surf in the water is usually a bit easier. The parking machines can be broken and so sometimes do not accept coins, so you may need to pay using a debit card over the phone. You should only have to pay around £5.10 – £5.30 for a full-day parking. If you are in a council owned car park and the voicemail is saying any more that £5.30 to park for a day keep trying…you are probably pressing too few, or too many hours. There is an iPhone parking app, but word is that is just as bad, and charges you more. Anyway to re-cap, the parking fee to park all day in a council run car park between 9:00am -6:30pm should be around £5.10 – £5.30 a day. Previous post: Surf brands not popular with looters and rioters?